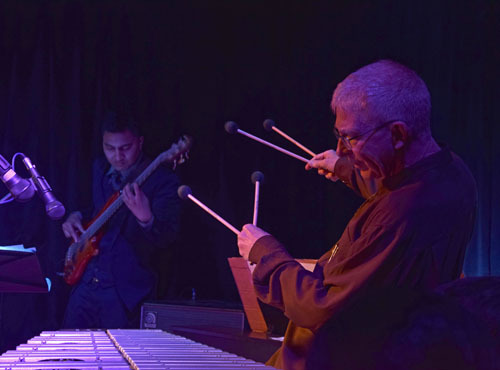 Vibraphonist/Composer Ted Piltzecker has eclectic musical interests. He has performed at jazz and percussion festivals, and in concerts throughout the United States and around the globe. (Germany, Austria, England, China, Australia, The Netherlands, Argentina, Peru, Sweden, Mexico, Canada, Japan, Finland, and Puerto Rico). He most recently was a guest at festivals in Belo Horizonte, Natal, and Tatu&iacute;, Brazil. His four albums as a leader have been critically acclaimed and influential in both the percussion and jazz worlds.